 Drewry Construction was founded in 1986 and is a family owned and operated corporation serving the greater Fredericksburg, Virginia area. We only engage in highly ethical business behavior while promoting those ethics to our peers and associates. Our tradesmen are chosen for their skill, reliability and honesty. We provide continuing education about the remodeling and construction industry to our employees as well as our customers so we can remain on the leading edge of the construction market. We are fully insured contractor.